Dessert is a part of any hearty New Year's Eve feast. This year, why not make your dessert a lot more fun by incorporating good luck traditions from all over the world? Start your 2017 with a sweet note and attract good fortune while you're at it! Here are three dessert recipes that have various fruits believed to attract good fortune. If you're a chocoholic, you'll certainly enjoy Hidden Ponies' chocolate bark with pomegranates. 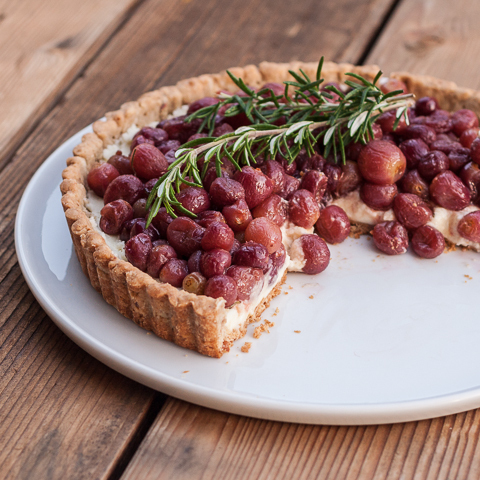 For those looking for a new take on grapes, try this roasted grape tart from Flour Arrangements. And if you're craving for a fruity-creamy treat, you'll certainly enjoy Busy-At-Home's mandarin cream pie. Enjoy! According to a Turkish belief, pomegranate bring good luck because of its vibrant red color, known to represent good health. Furthermore, pomegranate is also literally good for the health - it's a good source of fiber and Vitamin C. Make this simple fruity chocolate bark for a dose of good fortune and great nutritional benefits! "Buy a big one and you’ll have enough to make both this bark AND those cookies, or just lots and lots and lots of this bark. A good pomegranate has a lot of arils inside, and each one is an incredible juicy jewel." It's a Spanish tradition to eat 12 pieces of grapes on New Year's Eve in order to have 12 months of good luck for the coming year. Of course, you can just pop the grapes in your mouth at midnight, but where's the fun in that? 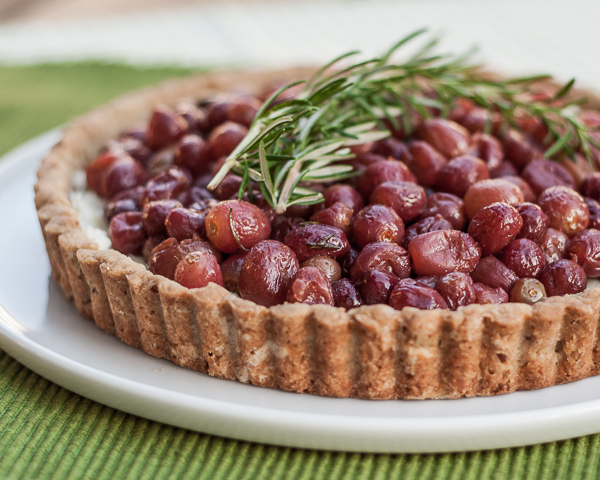 This roasted grape tart is a great way for foodies to down their 12 (or more) grapes when the countdown ends. 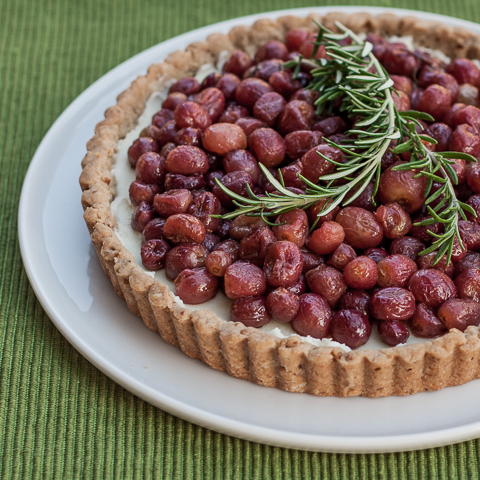 "Roasting grapes requires only a small window of active time as well; after tossing them with sugar, salt, and rosemary, they spend just 15 minutes in the oven, and then they can sit on the counter until you’re ready to assemble dessert." Mandarin orange or tangerine is considered good luck in many Asian countries. The bright orange color of he fruit is believed to represent gold and its shape is known to represent coins. Here's a good recipe for a sweet-tangy cream pie with a graham crust that is soooo delicious, you'd think it is worth its weight in gold! "Whether you choose to serve it simply, or style it for more elegant entertaining, this easy to prepare dessert will make you famous (or at least a familiar face in the neighborhood)!"